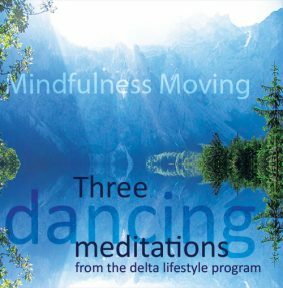 “Three Dancing Meditations” (CD, 2014) Three 20 minutes movement meditations with step-by-step instruction and specially designed music. This is the English version with instructions beautifully spoken Heidi Mack (Mindfulness teacher and psychologist, Ontario Canada). Buy as CD or download at Amazon (or iTunes and several others). From April 2017 the three meditations can also be streamed through Spotify and other services. 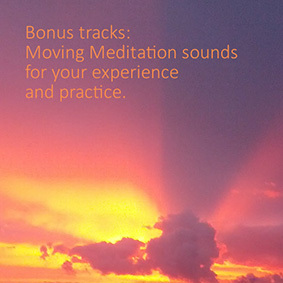 Bonus tracks: Moving Meditation sounds for your experience and practice (2015). A collection of unpublished music, soundscapes and guided exercises produced by ourselves for Moving Meditation workshops and retreats. 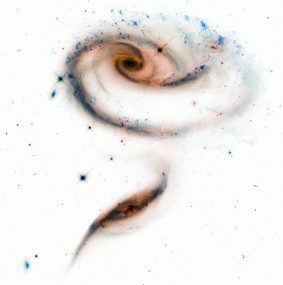 The collection includes the large slow soundscapes – “drones” – we often use in introductions. Many participants have asked where they are published and how to get them. We have made them freely available to everyone who has been at an MM worskshop or signed up for our newsletter. Send us an email if you would like the bonus track collection but don’t have it. Only in Danish so far. The English will come when we find the perfect voice for it. The 20 minutes “dynamic body scan” practice that many will know from our workshops. Now we have composed 20 minutes of music dedicated to it, and Maria has spoken an inspiring instruction track. At the moment this also works as a “bonus track” for participants and subscribers. Send us an email if you would like “alphabet” but don’t have it. 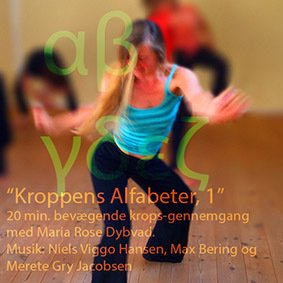 Only in English so far – emerging as a “manual” for the inner circle traning with us as Moving Meditaiton facilitators. But send us an email if you would like to read the general introduction and overview chapters and give us feedback on them.